What can Drew Barrymore teach you about running? Today I, with a lot of help from Clove and Cinnamon, use this Friday 5 to take a look at some of Drew’s roles throughout the years to find a few ways we can improve our running selves. Let the love flow, Gertie. 2. Walls are fine, but know when to break them down. Who could forget the very first time that a baby-faced Drew captured our hearts as “Gertie” in E.T.? 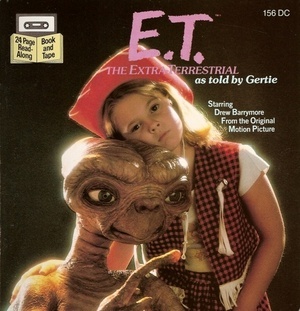 Initially a sarcastic little thing with a tough shell, young Gertie slowly becomes enamored with E.T. with the help of her brother, Elliott. Over time, the two become close friends, playing dress-up and having shenanigans. Yes, Gertie is heartbroken by E.T.’s “death,” followed by his ultimate departure, but in the process, she learns to let down her 5 year old walls, have some fun, and live – and love – more fully. We don’t have to be five years old to realize that our skins get too thick sometimes, so take a lesson from Gertie and take time during your runs to open yourself to your environment – live a little!. And remember to eat your Reese’s Pieces. This is what happens when you don't listen to your inner voice. 3. Follow your heart, and have a great soundtrack. After some time away from the screen, our girl Drew returned to us all grown up in a romantic comedy, “The Wedding Singer.” Paired with Adam Sandler, she found herself navigating the rough waters of weighing her heart against her plans in the loud and kitschy 80’s. Though the movie took us through ups, downs, and near misses, there was never any real doubt that she would ultimately follow her heart … straight into the arms of her beloved Robbie. The lesson: listen to your heart, your conscience, your intuition, that tiny inner voice that truly knows what’s best for you. It’s there for a reason; to both lead you to happiness and keep you out of trouble. (And sometimes, just to keep you from going out too fast or getting lazy too early.) And finally, make sure you have a great soundtrack. Because whether you use it for running, driving or cleaning the house, few things can lift and soothe the spirits the way the right song can. Hahaha, being an International spy is so much better with gal pals, hahaha! 4. Working with other badass chicks makes you stronger. Imagine Drew’s character Dylan listening to the mysterious Charlie’s instructions alone. It would have been plain weird. Imagine her trying to take on Knox without Natalie and Alex. She would have been toast! 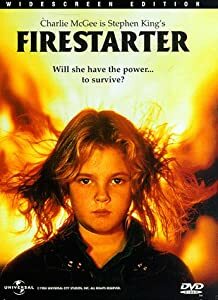 Sure she could fight crime and try to beat the bad guys herself and she might not have been terrible at it, but doing it alongside two other awesome babes made her a pro. The same is true for you. You’re a great runner as you are, but if you train with others you will be that much better. And if you can work with others in a race, even better! Because we all know by now working with our competitors is much better than being catty with them! 5. After a rough start you too can hit your stride a little later in life. Like a lot of us, Drew showed incredible promise as a youngster, but she became derailed by some of life’s big distractions. For her it was drugs and alcohol. I had my time when I dropped out of college, dated a DJ and partied far into the night. I used to go to bed on the weekends around the time I now get up to run! Drew’s partying was not conducive to a film career and mine was not conducive to being an athlete. But Drew got it together. She slowly made progress through her early adulthood and now at the age of 37 seems to really be hitting her stride. She has dozens of successful films, she’s a Covergirl and she has a very successful production company. On top of that, she seems to have also hit her stride in her personal life. After several flash-in-the-pan romances (Tom Green anyone?) she seems to be settling down and has her own bun in the oven. As a runner I can’t help but think of my late 30’s as my pre-masters years, but looking to Drew I realize the best is yet to come! Very enjoyable post today ladies:)!! Number 4 is my favorite! Yeah! Number 4 is my favorite too!